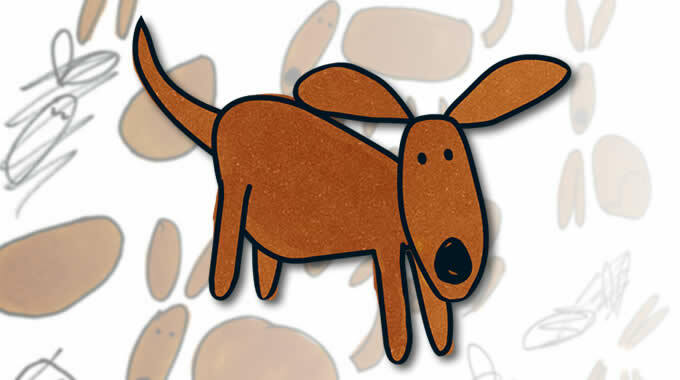 Animated dog for an early learning children's iPad app created by Priddy books. I was asked by the client to articulate and animate the Wallace dog character, referencing various rough sketches and still scenes from existing books. 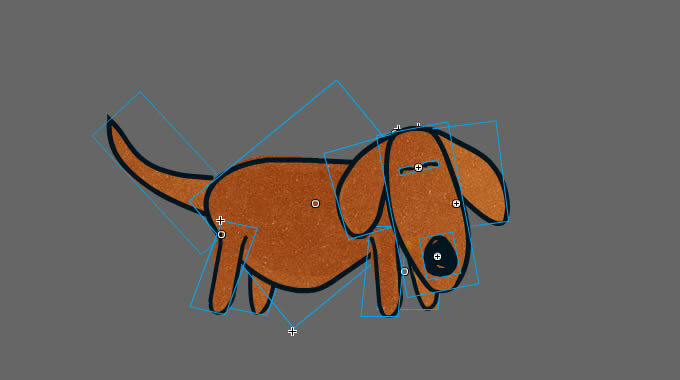 The first challenge was to maintain the rough, felt-tip quality of the original drawings in a symbol-based animation. A lot of time was spent weathering and distressing the various component pieces of the character. Secondly there was the challenge of bringing life to such a simple character, whilst maintaining its essential "doggishness" - I did not want Wallace to become anthropomorphised. And finally, there were potential performance penalties in using large animated sprites which had to be overcome. As the project developed, it became clear from customer feedback that Wallace and his antics were very popular and he became the star of the show. I was also asked to create the opening sequence animation for the Play and Learn app, which introduces both Wallace and the Priddy branding on-screen. This was the first time I had animated at HD resolutions, and required careful attention to detail to make sure the final sequence looked right and transitioned into the app graphics correctly.